Private View at Fosse Gallery: Sunday 4th September 2016, 11am – 4pm. The Exhibition continues until Saturday 25th September 2016. 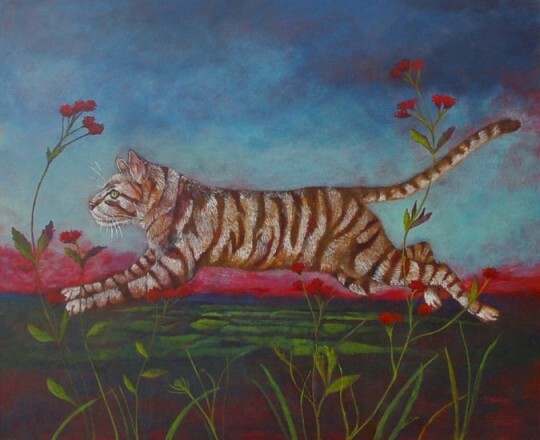 The Fosse Gallery has invited nine artists to paint around the theme of ‘The Hidden Paw’, the favourite children’s poem by T S Eliot, ‘Macavity, the Mystery Cat’. 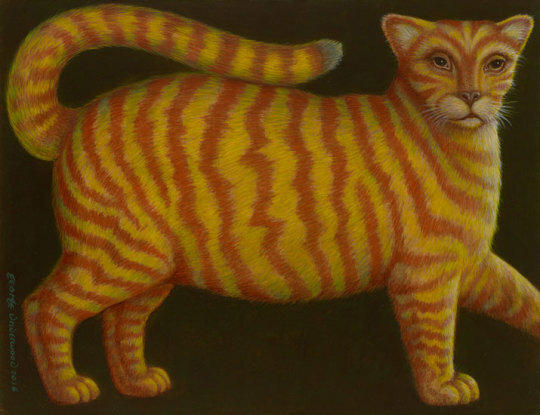 The nine artists chosen to exhibit are Nicola Slattery, Lydia Corbett, Mick Rooney RA, Jane Ford, Pamela Kay, Alex Williams, Lucy Pratt, George Underwood and Anthony Yates – all well-known artists to the gallery. This exhibition offers a feast for the eyes and a window into what inspires these remarkable artists. 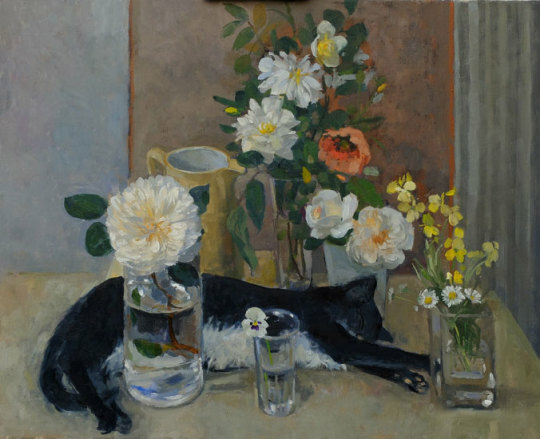 10% of the profits made from the exhibition will be donated to International Cat Care. A bit about International Cat Care… International Cat Care works to create a world in which ‘all cats, owned and unowned, are treated with care, compassion and understanding’. Founded in 1958 as the Feline Advisory Bureau, International Cat Care is a respected and trusted authority on feline health, behaviour, welfare and best practice. They offer information, advice and training for owners, vets and other professionals around the world. Registered Charity – 1117342. Find out more at www.icatcare.org.